Enjoy the convenience & assurance of having your pool professionally maintained. 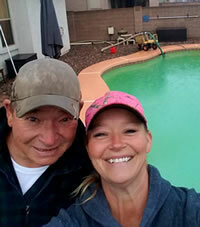 Weekly pool wellness report e-mailed to you * Ask about our “green free guarantee”! CALL OR EMAIL TODAY FOR A FREE 20 POINT POOL INSPECTION!